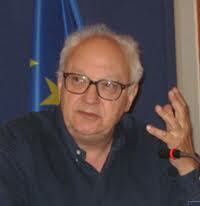 Etienne Balibar (b1942) is Professor of Philosophy at the University of Paris-X. As one of Louis Althusser’s most brilliant students in the 1960s, Etienne Balibar contributed to the collective theoretical masterpiece of Reading Capital. Since then he has established himself amongst the most subtle philosophical and political thinkers in France. He has worked extensively on general problematics such as the theme of universalism and difference. He has also addressed topical questions such as European racism, the notion of the border, whether a European citizenship is possible or desirable, violence and politics, identity and emancipation. His books include Reading Capital (with Louis Althusser, New Left Books 1970), Race, Nation, Class (with Immanuel Wallerstein, Verso 1991), The Philosophy of Marx, Spinoza and Politics, Politics and the Other Scene (Verso 2002), and We, the People of Europe? Reflections on Transnational Citizenship (Princeton University Press 2004). Don’t miss CAPLA’s Early Bird deadline of October 11th! I See What You Mean is an interactive exhibit which juxtaposes a series of portraits by one of Canada’s most acclaimed documentary photographers, Vincenzo Pietropaolo, with portraits and self-portraits by gallery visitors. In addition to contributions of the general public, Abilities Arts Festivals will engage and elicit the participation of communities portrayed by Pietropaolo in his most recent series, Invisible No More, a photographic chronicle of people with intellectual disabilities commissioned by the Canadian Association for Community Living. Contributions by exhibit visitors will enrich, inform and engage with the photographic conversation initiated by Pietropaolo. Gallery visitors will be supplied with tools and resources to generate their own portraits and self-portraits through Polaroid prints, digital and webcam photography, and pencil sketches will which will then be pinned/projected onto the walls, ceiling and floor of the gallery. WEBINAR: HOW CAN YOU ADDRESS THE IMPACT OF VIOLENCE ON LEARNING? Everyday experiences of violence – from the mildest to the most catastrophic – impact learning, and the learning failure that often follows has its own ongoing impact on people’s lives. Violence happens in subtle and not so subtle ways and even with the best of intentions, educational programs can reinforce messages of violence that leave students feeling worthless and unsure of themselves as learners. Here’s a chance for educators and administrators to take a new look at aspects of our programming that we think of as “neutral.” We may find that things we hardly notice can affect student attendance, behaviour, attitudes and participation levels. Register at: https://www3.gotomeeting.com/register/241327798. After registering you will receive a confirmation email containing information about joining the Webinar. You have already written a number of successful press releases, and done interviews for your group. You know what it takes to get media for an event, but you want to step back and look at the larger picture. This workshop will look at the bigger picture questions that go into developing a media strategy for a long term initiative. The training will cover framing, story-based narrative analysis, social media, understanding the media story cycle, and building relationships with reporters. Trainer: Jen Angel is co-founder of media strategy, publishing and tour management agency, Aid and Abet Booking, and former editor of Clamor Magazine. With the death of Jack Layton, the federal New Democratic Party (NDP) has been thrust into an unexpected leadership race, its future in question. Layton led the NDP to a historic breakthrough in Quebec and brought the NDP to Official Opposition status for the first time. Even with Layton, the NDP’s hold on these heights was tenuous. Without him, the NDP faces an immense challenge to maintain its current strength, let alone take that desired next step of forming a federal government. Electorally, at least, much hangs on the outcome of this leadership race. Using a one-member-one-vote (OMOV) system, the NDP will choose its new leader next March 24. While looking forward to the leadership race, it’s also useful to consider the legacy of Layton’s tenure as leader. In Working-Class Perspectives, http://workingclassstudies.wordpress.com/ this week, Kathy M. Newman reflects on recent uses of the phrase “class warfare.” She suggests that most American class warfare comes from the top, including when it becomes violent. The Center for Working-Class Studies encourages responses in the Comments section of the blog site. We—my wife Liza Featherstone and son Ivan Henwood and I—paid a visit to the Occupy Wall Street protest yesterday afternoon. Here’s an illustrated report. I also did a segment for my radio show. Audio for that is at the bottom of this entry. The big media have largely ignored the OWS protest (though if you’re part of a certain kind of network on Facebook, you can’t miss it). Called first by Adbusters with only the most minimal agenda, it’s taking on a life of its own, as people trickle in from all over. And I do mean minimal—the agenda is supposed to evolve spontaneously. When I talked with one of the organizers last week, she told me that they merely hoped “to build the new inside the shell of the old,” and though that sounds seductively wonderful, I’m not sure how robust such an approach can really be. The International Journal of Management Concepts and Philosophy 2011 vol. 5(2) has a special section on Marxist views of the crisis which may be of interest. We welcome contributions for them left and radicals which take on issues in business and business studies. The next issue will be on critical approaches to political economy. What does Marx mean by ‘alienation’? 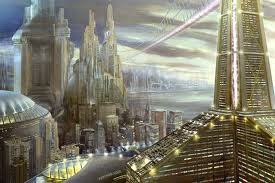 What role does the concept play in his critique of capitalism and his vision of a future society? Marx and Alienation deals in depth with some of the most important philosophical assumptions of Marx’s work. It sets Marx’s account of alienation and its overcoming in the context of the Hegelian philosophy from which it derives, and discusses it in relation to contemporary debates and controversies. It challenges recent accounts of Marx’s theory, and shows that knowledge of Hegel’s philosophy is essential for an understanding of central themes in Marx’s philosophy. Marx and Alienation explains and discusses Marx’s ideas in an original and accessible fashion and makes a major contribution to Marxist philosophy. SEAN SAYERS is Professor of Philosophy at theUniversityofKent Hehas written extensively on Marxist and Hegelian philosophy. 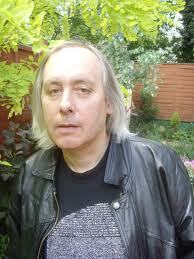 He is the founder and editor of the online Marx and Philosophy Review of Books. Papers are invited for the first academic conference dedicated to the work of China Miéville. The winner of multiple awards, Miéville has developed a distinguished body of fictional work since the publication of his first novel, King Rat, in 1999. In addition to nine published novels (with his next forthcoming in May 2012) as well as a collection of short stories, Miéville is also a respected literary critic, political activist and legal scholar. His post-Suvinian working through of the “Fantastic” as a generic category encompassing SF, fantasy and the Gothic, as well as avant-garde traditions such as Surrealism, has been influential in cutting across received boundaries of genre. Miéville’s monograph Between Equal Rights: A Marxist Theory of International Law was published in 2005 and he has written and edited articles for a variety of journals; from Historical Materialism and the philosophical journal Collapse, to the Harvard International Law Journal. Influenced by, among others, late-nineteenth and early-twentieth-century pulp traditions and New Wave SF – especially the work of M. John Harrison – Miéville has recently been credited as “leading revolutions in fantasy as both a writer and a critic” (in a 2009 special edition of SF journal Extrapolation dedicated to his work). His fiction spans a wide variety of themes, contexts and genre-blurring literary traditions, which metaphorically explores, among other things, the implications of lived cultural, racial and geographical boundaries, collective struggle, and bodily affect. The conference welcomes proposals for individual papers and panels from any discipline and theoretical perspective. Submissions are welcome from both research students and academics. Please send a title and 300 word abstract for a 20 minute paper along with your name, affiliation and 100 word professional biography to mieville@gylphi.co.uk by 1st March 2012. I will have a second exhibition in the Noverre Gallery at Norwich Assembly House from 12 noon on Friday 7th October 2011 to 3pm on Monday 31st October 2011. The Assembly House, Theatre Street, Norwich, Norfolk, NR2 1RQ. 01603 626402. http://www.assemblyhousenorwich.co.uk/ . The exhibition will feature my latest acrylic paintings, some of which appear on my website: http://www.vanna-art.co.uk/Acrylics.htm, including “Kaleidoscope”, which appeared in the summer exhibition “Flying Colours, Fascinating Forms”. 12 Helena Road, Norwich, NR2 3BZ. 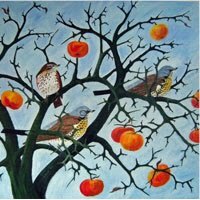 I saw Vanna’s impressive and beautiful works when she last exhibited at the Noverre Gallery in Norwich, Norfolk, England. The Center for Study of Working Class Life is pleased to announce the How Class Works – 2012 Conference, to be held at the State University of New York at Stony Brook, June 7-9, 2012. Proposals for papers, presentations, and sessions are welcome until December 12, 2011 according to the guidelines below. For more information, visit our Web site at: http://www.workingclass.sunysb.edu. interact, at the workplace and in the broader society. indicating institutional affiliation (if any) and what training or experience the presenter brings to the proposal; e) presenter’s name, address, telephone, fax, and e-mail address. A person may present in at most two conference sessions. To allow time for discussion, sessions will be limited to three twenty-minute or four fifteen-minute principal presentations. Sessions will not include official discussants. Proposals for poster sessions are welcome. Presentations may be assigned to a poster session. Submit proposals as an e-mail attachment to: michael.zweig@stonybrook.edu or as hard copy by mail to the How Class Works – 2012 Conference, Center for Study of Working Class Life, Department of Economics, SUNY, Stony Brook, NY 11794-4384. Timetable: Proposals must be received by December 12, 2012. After review by the program committee, notifications will be mailed on January 17, 2012. The conference will be at SUNY Stony Brook June 7-9, 2012. Conference registration and housing reservations will be possible after February 20, 2012. Details and updates will be posted at http://www.workingclass.sunysb.edu. In light of the global capitalist crisis, there is renewed interest in Karl Marx’s works and in concepts like class, exploitation and surplus value. Slavoj Žižek argues that the antagonisms of contemporary capitalism in the context of the ecological crisis, the massive expansion of intellectual property, biogenetics, new forms of apartheid and growing world poverty show that we still need the Marxian notion of class. He concludes that there is an urgent need to renew Marxism and to defend its lost causes in order to render problematic capitalism as the only alternative (Žižek 2008, 6) and the new forms of a soft capitalism that promise, and in its rhetoric makes use of, ideals like participation, self-organization, and co-operation, without realizing them. Žižek (2010, chapter 3) argues that the global capitalistcrisis clearly demonstrates the need to return to the critique of political economy. Göran Therborn suggests that the “new constellations of power and new possibilities of resistance” in the 21st century require retaining the “Marxian idea that human emancipation from exploitation, oppression, discrimination and the inevitable linkage between privilege and misery can only come from struggle by the exploited and disadvantaged themselves” (Therborn 2008, 61). Eric Hobsbawm (2011, 12f) insists that for understanding the global dimension of contemporary capitalism, its contradictions and crises, and the persistence of socio-economic inequality, we “must ask Marx’s questions” (13). * What are the main assumptions, legacies, tasks, methods and categories of Marxist Media and Communication Studies and how do they relate to Karl Marx’s theory? 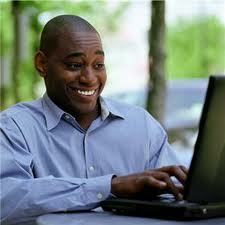 * What are the different types of Marxist Media/Communication Studies, how do they differ, what are their commonalities? * What is the role of Karl Marx’s theory in different fields, subfields and approaches of Media and Communication Studies? * How have the role, status, and importance of Marx’s theory for Media and Communication Studies evolved historically, especially since the 1960s? * What have been the structural conditions, limits and problems for conducting Marxian-inspired Media and Communication Research and for carrying out university teaching in the era of neoliberalism? * What are actual or potential effects of the new capitalist crisis on these conditions? criticizing the role of media, knowledge production and communication in contemporary capitalism? Vincent Mosco is professor emeritus of sociology at Queen’s University and formerly Canada Research Chair in Communication and Society. Dr. Mosco is the author of numerous books on communication, technology, and society. His most recent include Getting the Message: Communications Workers and Global Value Chains (co-edited with Catherine McKercher and Ursula Huws,Merlin, 2010), The Political Economy of Communication, second edition (Sage, 2009), The Laboring of Communication: Will Knowledge Workers of the World Unite (co-authored with Catherine McKercher, Lexington Books, 2008), Knowledge Workers in the Information Society (co-edited with Catherine McKercher, Lexington Books, 2007), and The Digital Sublime: Myth, Power, and Cyberspace (MIT Press, 2004). He is currently writing a book on the relevance of Karl Marx for communication research today. The abstracts should have a maximum of 200 words and should be structured by dealing separately with each of the following five dimensions. 5) Contribution to the engagement with Marx’s works and to Marxian-inspired Media and Communication Studies. Critical Media-/Information-/Communication-/Internet-/Information Society-Studies; tripleC provides a forum to discuss the challenges humanity is facing today. It publishes contributions that focus on critical studies of media, information, communication, culture, digital media, social media and the Internet in the information society. The journal’s focus is especially on critical studies and it asks contributors to reflect about normative, political, ethical and critical implications of their research. Scopus, EBSCOHost Communication and Mass Media Complete, Directory of Open Access Journals (DOAJ). In the last two years Europe has seen waves of strikes, mass demonstrations, student radicalizations, civil disobedience and even riots in response to government austerity policies. Struggles have broken out against cuts to pensions and raises in the retirement age, increased post-school education charges, reduced welfare payments, privatisations and falling living standards. Is there an alternative to cuts and privatisation? What does the left say to the crisis of the Eurozone? What were the fundamental economic causes of the ‘great recession’ and does the left have a different way out? Is the European left as nationally fractured as its governments increasingly are? This conference brings together the main left political, trade union and campaigning forces across Europe in the widest such forum since the meetings of the European Social Forum. It will be an unparalleled opportunity to hear what the alternative voice from across Europe from West to East, South to North. Attac network, (http://www.attac.org/en/what-attac) and anti-austerity campaigns and left parties from Denmark, Greece, Spain, Portugal, Belgium, and Eastern Europe joining British trade unionists (including Len McCLusky general secretary of Unite), and Jeremy Corbyn MP. Southern Cultures, the award-winning and peer-reviewed quarterly from UNC’s Center for the Study of the American South, wants your submissions on labor and politics for a special multidisciplinary theme issue on politics to be released in the Fall of next year, coinciding with the height of the election year’s campaign season. We will consider submissions with historical and/or contemporary content. The submission deadline is October 10, 2011. 50,000 people annually read Southern Cultures in print, online, and through eBooks, including scholars of history, literature, sociology, political science, women & gender, religion, labor, photography & art, and many other subject areas. Thanks – we look forward to reading your work. The Italian Department is organising a new series of interdisciplinary research seminars. Our first guest speaker will be Dr Alberto Toscano (Senior Lecturer in Sociology, Goldsmiths) (http://www.gold.ac.uk/sociology/staff/toscano/) who will present a paper entitled ‘The Non-State Intellectual: Franco Fortini and Communist Criticism’. The seminar will take place on Thursday September 29 at 6pm in Woolf College Seminar Room 3. All welcome. For a list of forthcoming seminars, please, see below. For further information, contact Dr Lorenzo Chiesa (L.Chiesa@kent.ac.uk<mailto:L.Chiesa@kent.ac.uk>) or Dr Francesco Capello (F.L.Capello@kent.ac.uk<mailto:F.L.Capello@kent.ac.uk>). Confirmed speakers for the Spring Term include Dr Deborah Holmes (Lecturer in German, Kent); Dr Luisa Lorenza Corna (Researcher, Jan Van Eyck Academie, Maastricht) & Dr Lynda DeMatteo (Researcher, CNRS-Laios, Paris). Ellen Meiksins Wood, for many years Professor of Political Science at York University, Toronto, is the author of many books, including Democracy Against Capitalism and, with Verso, The Pristine Culture of Capitalism, The Origin of Capitalism, Peasant, Citizen and Slave, Citizens to Lords, Empire of Capital and Liberty and Property.